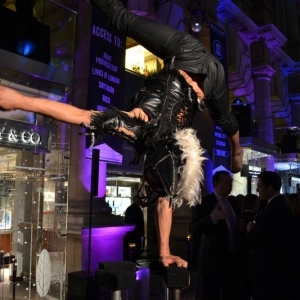 Our incredible Hand Balancers never fail to impress with their outstanding display of agility, strength and flexibility. 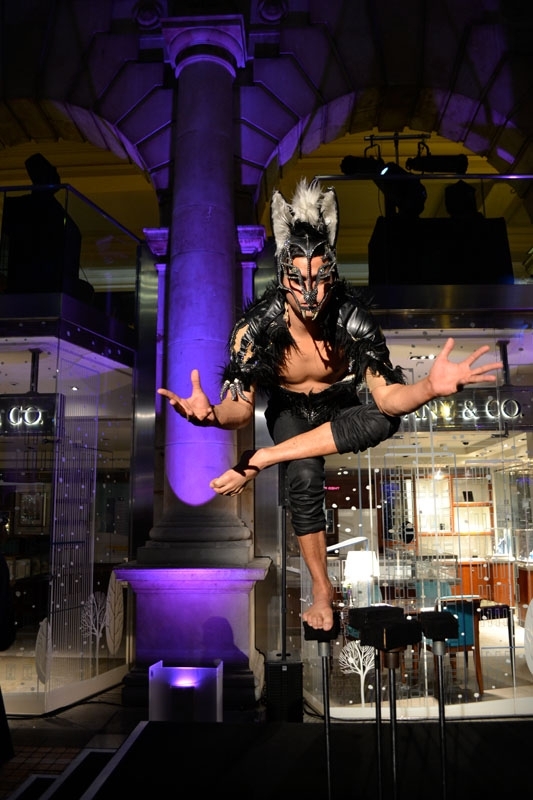 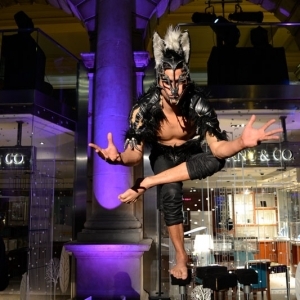 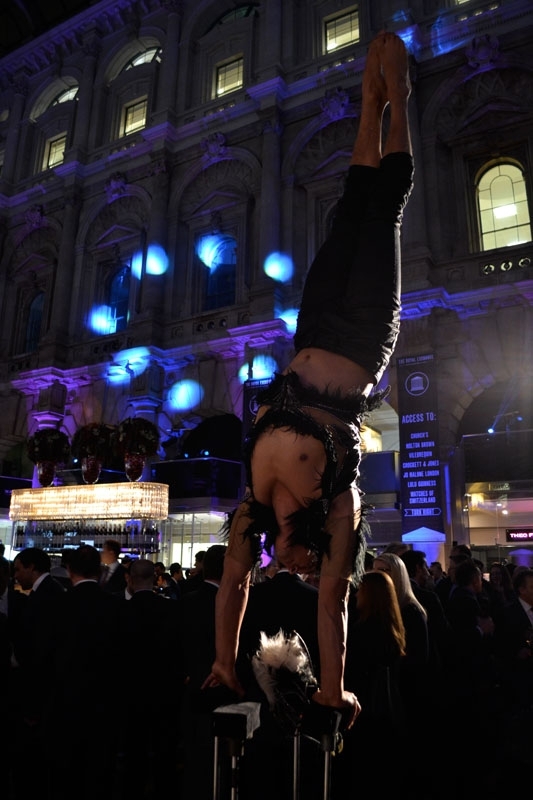 These skilled performers can perform on stilts of varying levels and so are suitable for venues of all sizes. 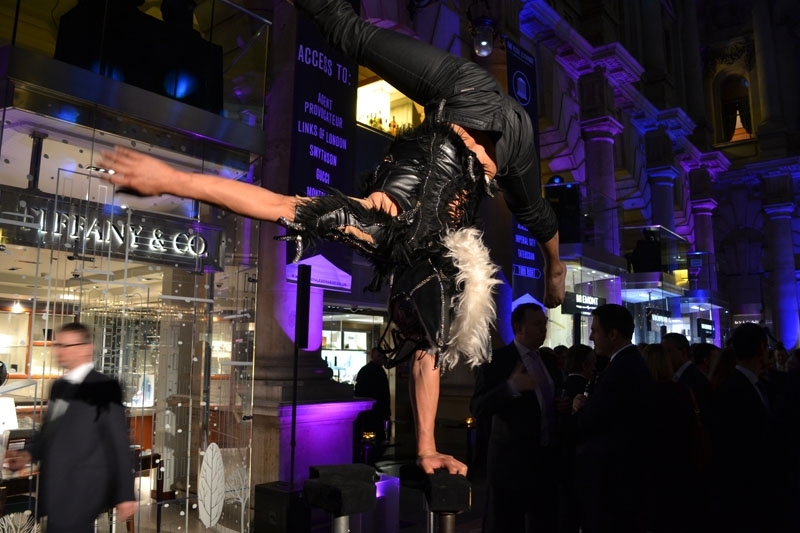 Your guests will be amazed as they contort their bodies whilst balancing on one or two hands, creating mind-boggling shapes and positions and rotating themselves mid-air. 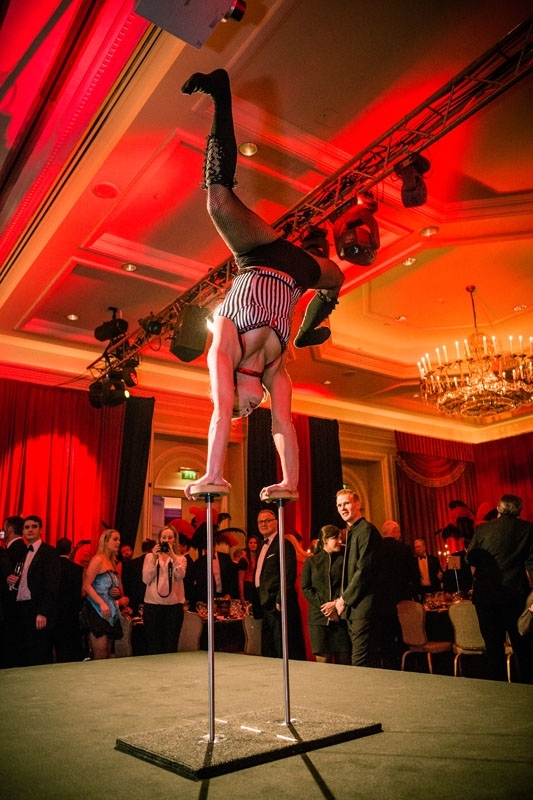 Performances can be choreographed and set to music to tie in with a specific theme or they can be tailored to a more atmospheric style genre which is ideal for a drinks reception style environment.